The goal of this page is to serve as a handy reference for the various types of poems, forms of poetry, styles of verse, etc. 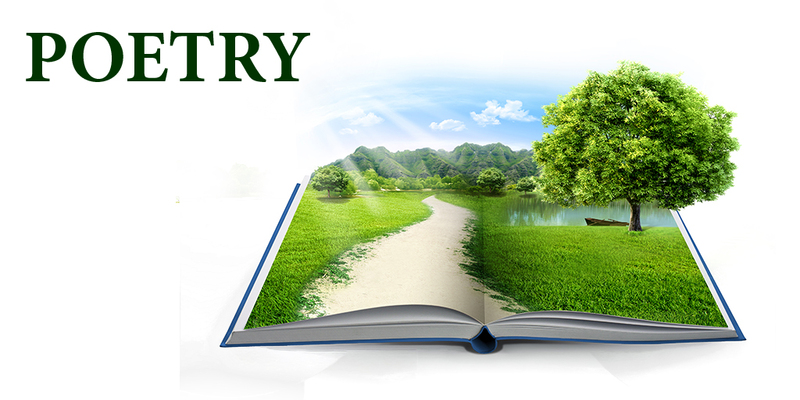 Each kind of poetry is briefly defined, and an example is provided to illustrate that form. Click a link to view the example poem. If you have a poem that features a different form, style, etc., or exemplifies a different poetry term, please let us know. Use the Contact Us button at the top of the Read Tuesday website. All of these poems are copyright © by their respective poets. In many cases, you can find the copyright notice on their websites after clicking on the link. Some poems follow a structure where pairs of words rhyme. Poems don’t necessarily involve rhyme, but they can. In the above example, each pair of even lines rhyme (lines 2 and 4, lines 6 and 8, etc.). A traditional haiku is a Japanese poem written in three lines. Traditionally, this would feature imagery from the natural world. The middle line has 7 syllables. The last line has 5 syllables. The numbers in parentheses indicate the number of syllables per line. A traditional haiku is 5-7-5. A tritina is a poem with 10 lines, divided into 3 tercets plus a single line at the end. Each tercet (set of 3 lines) ends with the same 3 words, though the 3 end words change order from one tercet to the next (as in the example below). The meaning of the 3 end words and the division into 3 tercets plus a signle end line are easiest to understand by reading an example. The tritina may extend longer than 10 lines, repeating the same structure (though the 3 end words may change from one set of 10 lines to the next). For example, it might have 50 lines divided into 5 sets of 10 lines. A villanelle is a poem with 19 lines, with 5 tercets and a quatrain. Each tercet consists of 3 lines. The quattrain consists of 4 lines. The 1st and 3rd lines of the opening tercet are repeated (alternately) at the end of the other tercets, and both are repeated at the end of the quattrain. The following form starts out as a villenelle, but ends with a slightly different structure (it ends with a quintain instead, a stanza with 5 lines). The above poem combines the villanelle structure with a 5-7-5 haiku and a 5-7-5-7-7 tanka. Poems are broken down into stanzas. A stanza is a group of lines that go together. A couplet is a set of 2 lines (these usually rhyme). A tercet is a set of 3 lines. A quatrain is a set of 4 lines. A quintain is a set of 5 lines. Different kinds have different names, such as the cinquain. A sestet is a set of 6 lines. A sestina is a specific form. A septet is a set of 7 lines. An octet is a set of 8 lines. A poem can have rhyme, it can have rhythm, it can have both, or neither. Iambic pentameter is a form of rhythm. The basic rhythm structure of a poem is called meter. Many Shakespearean sonnets, for example, follow the iambic pentameter. Traditionally, each line of an iambic pentameter consists of 5 pairs of words, where each pair consists of a short/long or stressed/unstressed syllable. But it doesn’t have to strictly follow the structure of U-S / U-S / U-S / U-S/ U-S (where S = stressed and U = unstressed). It could have the structure S-U / U-S / U-S / U-S / U-S, for example. This iambic pentameter follows the rhyme scheme abab, cdcd, efef, gg. Here is a puzzle for you: Can you explain the order of the 5 senses listed above? See below for the answer. The following poem includes imagery that triggers a variety of senses. The above poem also serves another purpose. It’s designed to spread awareness of cultures and careers to children, as well as to expand their vocabulary. The poets idea is that after reading the poem, children could play a game (with parents or teachers, perhaps in a group of other children) called Hats, where everyone takes turns thinking of a different kind of hat (for which there are many: you can help kids think of different kinds by getting them to think about sports, careers, different cultures, safety, etc.). Spoiler alert: Here is the answer to the puzzle, ready or not. They are ordered based on distance, from far to near. For example, you have to be extremely close to taste something, but can see it from a long distance. Poets can write freely. They don’t have to adopt any prescribed form to write poetry. 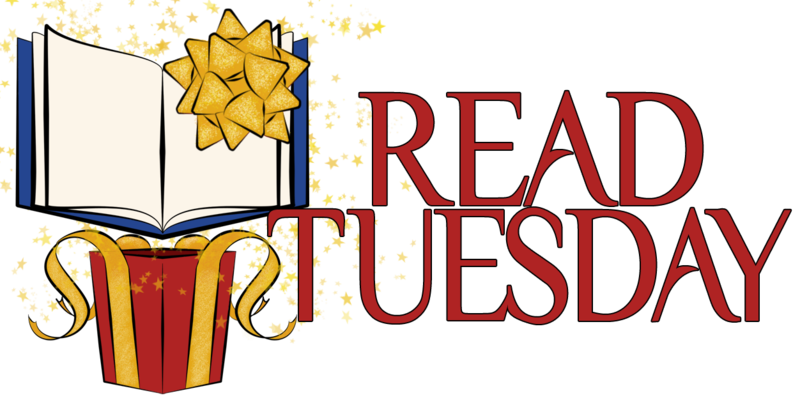 These poems relate to Read Tuesday in some way, such as reading, literacy, or books. Click the link to view the poem. A cool Read Tuesday poem written by Charles E. Yallowitz. “Once Upon a Time” is a poem written entirely out of cliches submitted by Chris McMullen. “Which Part of the Book Is Best” is a short, humorous play about the different parts of a book by Chris McMullen. Use the Contact Us button to submit a poem, play, or short story that relates to Read Tuesday.